XOR – We don’t live in a black or white world. But sometimes we say black or white things. I examine the harms of dichotomical thinking that may affect our professional and personal lives. Anthropomorphism – User friendliness in web design isn’t limited to the form and function. Language is important too. 6 Steps For Building Successful Websites – Dmitry of the Usability Post wrote this great article on Smashing Magazine this week. It covers several key points web designers should be mindful about when creating a website. WordPress 2.7 Feature Preview – A very interesting video of Mark Jaquith showing the new features in WP 2.7. I say interesting, because of the attention paid to details in usability. The Role of Metaphor in Interaction Design – This presentation was created in 2005. I found it while looking at Dan Saffer‘s other presentation, Interaction as a Material. 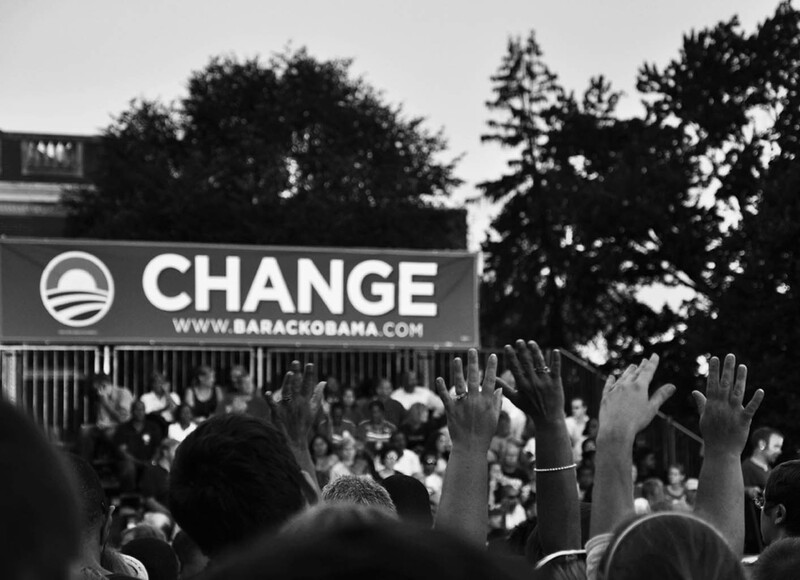 What Marketers Can Learn From Obama’s Campaign – Obama ran a superb campaign. This article explains the details. Electioneering08.com – A comprehensive archive of screen-shots of all the major sites’ coverage of the election results, by the hour. 10 Reasons Why You Are Rich – During tough times, think about those who live in dire conditions. Unity – a photo is worth 1000 words. In this case, 4000 words. Cost of the War – A great movie of typography, symbols and icons. Why I Will Never Have a Girlfriend -Now I know, the odd is so against me. Oh and the fact my wife won’t let me. Helium Vs Sulphur Hexafluoride – Adam Savage of the MythBusters demonstrates and explains why helium makes you sound funny. He also inhales some other gas I can’t pronounce. The Original Photoshop – Kids these days are so spoiled. This is what I had to work with! Can you believe that no one has commented. Why don't you be the first?